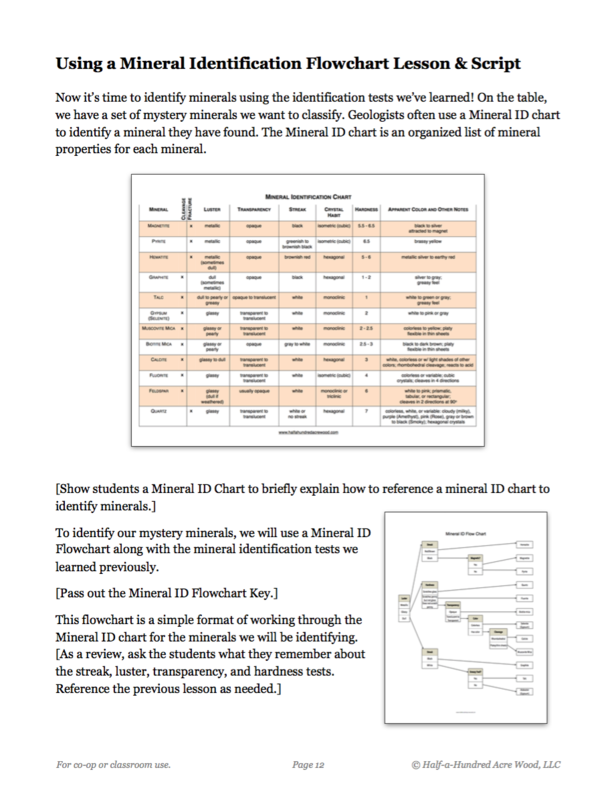 Engaging lessons in mineral and rock identification! 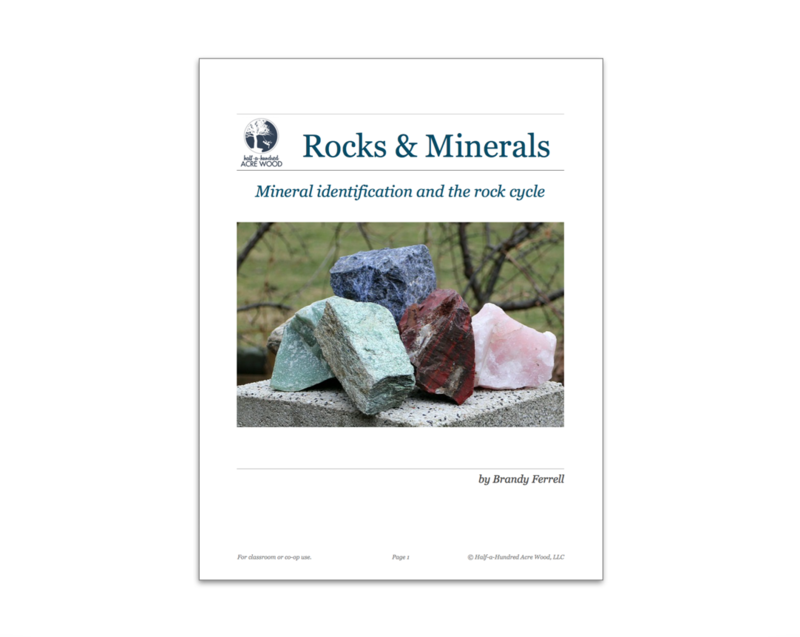 This 38-page resource provides complete lessons for teaching mineral and rock identification to children through the use of mineral identification stations, hands-on activities, and simple charts/graphic organizers. 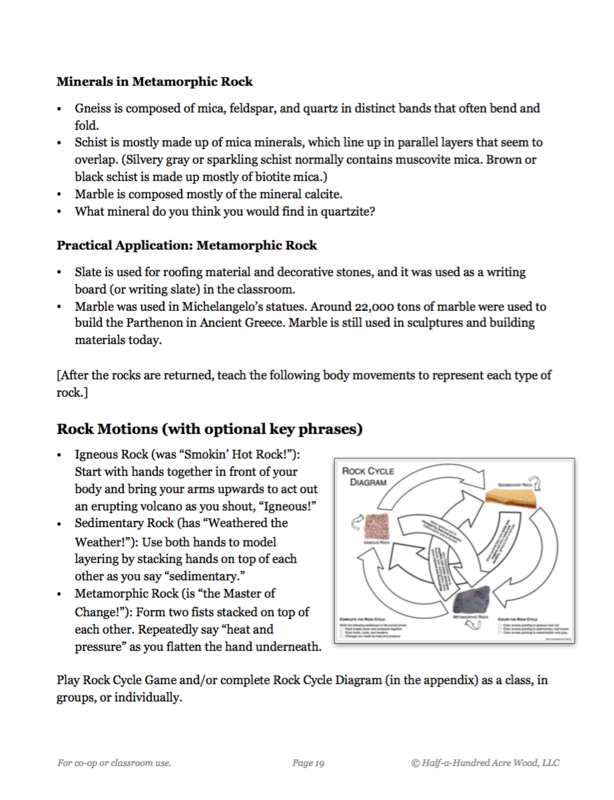 Format: PDF Download (Mac & PC Compatible), 38 pages. License: For use within the purchaser's immediate family. 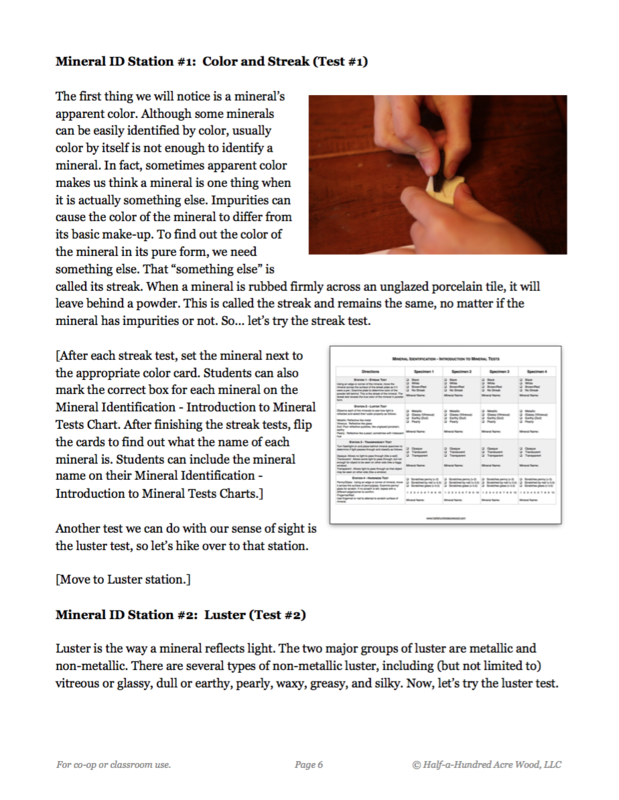 Note: Mineral and Rock Science Kits will be needed for these lessons. This listing is for use within a single family. 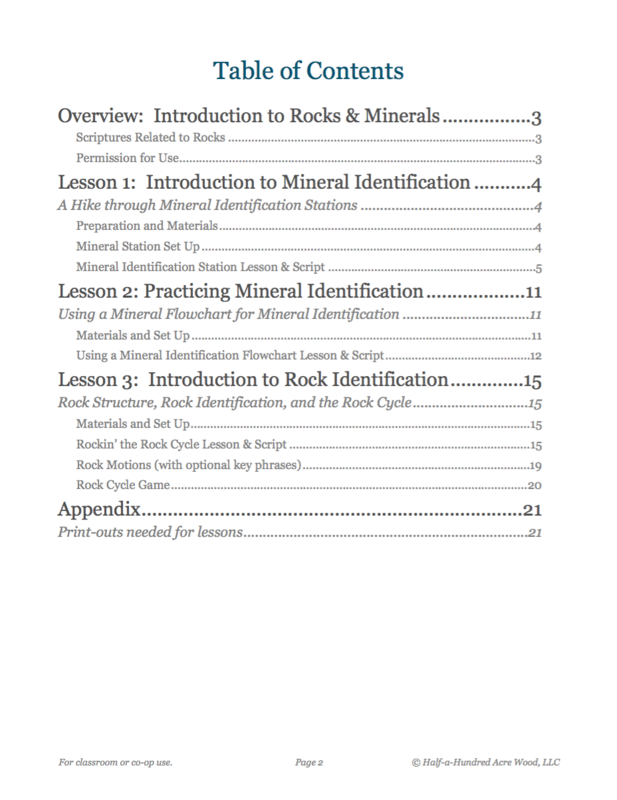 To make copies of the materials for class or co-op use, refer to our Introduction to Rocks and Minerals - Co-op License.